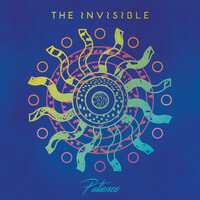 Four years might have passed since the release of their last LP, Rispah, but The Invisible have barely drawn breath since, keeping busy creating music with acts as diverse as Adele and Polar Bear. 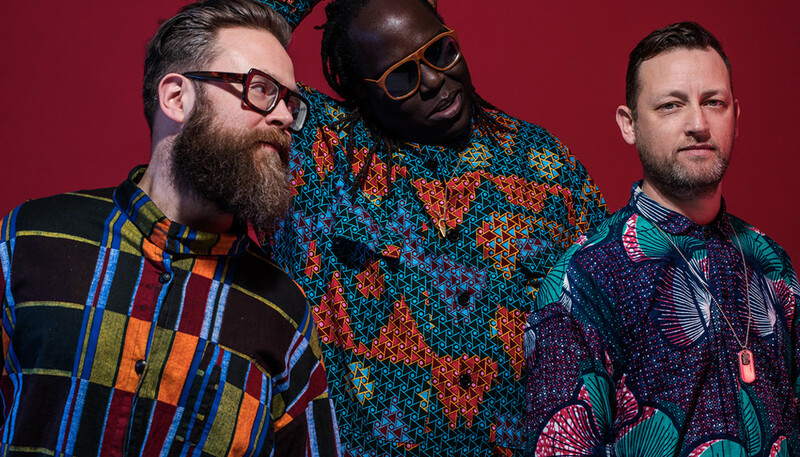 Here, frontman Dave Okumu explains how the trio’s love of collaboration and his own near-death experience helped inspire their third album, Patience. We caught you at The Great Escape in May and we think we were stood next to Super Hans from ‘Peep Show’? At The Great Escape you played your Prince tribute song, ‘Oceans Of Purple’. Can you tell us more about the impact that Prince has had on you? He is literally my favourite musician. I always say this and I mean it from the bottom of my heart: Prince kind-of saved my life really. The first record I bought was Sign ‘O’ The Times, when I was 11 and I was having a pretty difficult time. There was a lot of change going on in my family life and we’d moved around a lot so I was just feeling a little bit lost. I’m the youngest of eight and all my siblings love music but it was really around that time that I started to have that very personal connection to it, buying music and listening to it on my own on headphones. Artists like Prince and Grace Jones really, really spoke to me. I felt something otherworldly and majestic and divine being channelled through what they were doing, but at the same time it felt like they were speaking right to me, saying it’s ok to be who you are, and embrace your idiosyncrasies and imperfections because actually that’s what makes you beautiful. I think that’s such a powerful message to give another human being, and I think all great art does that really. So it was very inspiring being able to look up to a figure who was so idiosyncratic and contradictory and so excellent. I think excellence is sometimes something that’s feared, but that guy’s level of craft and musicianship is beyond anything. It’s great to aspire to that level of excellence. He’s transformed me, that guy, and I’m very, very grateful to him. I was in the studio with Paul Epworth when I found out that he’d died, and [‘Oceans Of Purple’] just poured out of me. And it’s been so fun to play that [live], and very cathartic and healing for us to tip our hats to our favourite musician. On a profound level, I think I do have a deeper understanding of the value of life. Considering the difficult personal circumstances under which your last album was written, how much of a joy was Patience to write in comparison? Yeah, it was a very full experience, making this album. I had a really interesting chat with Ed O’Brien from Radiohead recently, talking about making records and why it’s significant, and why people still want to do it. There’s something about going through a process of creating a body of work that is coherent and that says something about that period in your life. I think there’s always a price to pay for that and it’s the fact that it’s not always easy to do that gives it its value. With this process there were times when it was so easy, and so wonderful, and so full of joy, and there were times it was challenging. And I think every album will be like that, if you’re really trying to go deep into who you are, and actually work out what you want to say. But what I would say about this record is that we passed through some really, really significant stuff as a band and as individuals over the last four years. The loss of my mother during making the second album we basically lived through together, and expressed that on that second record, and that was a really, really profound experience that has shaped us as people. Then soon after that I suffered a near-fatal accident onstage and Tom and Leo saved my life onstage. It was pretty dramatic stuff. There’s a quote of Martin Luther King’s where he’s talking about how there can be a redemptive aspect to pain. Like, if you can confront your pain there’s a chance it can be transformed into something positive. And I think that’s one of the most powerful messages, because pain and suffering is a part of the human experience; we’ll all encounter it at some point in our lives. Going through that with people that I love and working out how to express that has taken me to a new landscape. I found myself so in touch with everything I had to be grateful for in my life – and being able to see things with a slightly more profound insight – that it did give me a lot of joy and it did make the experience of creating the music different. So it wasn’t that it was without difficulty making this album, but I don’t think difficulty is necessarily a bad thing. It’s possible to transcend that with joy. You discussed that feeling of positivity in our previous interview, around the release of Rispah. Is that with you permanently now? Yeah, I think that’s something that runs very deep, into the fabric of who I am. On a profound level, I think I do have a deeper understanding of the value of life and I really try to adhere to what I believe in in my life. Someone once spoke to me about this idea that there will be an event in your life that basically divides your life into two – and that might be something very traumatic – and in the second half of your life you’re in new territory, and your understanding of life comes through the prism of that event. That really resonates with me. Many things that worried me before don’t worry me so much now. I feel more liberated and like my focus is more rooted in what really matters, which to me is about the long-term things, as opposed to the transient ones. I feel like I’m in a new place in my life, and I’ll try and grab that with both hands. Does that sense of liberation extend to the creative process? Yeah. For me, I always want to feel like I’m developing and growing, and that I’m not just repeating myself or stuck. Being alive is about being in a flow, and so I want to feel that. And I think that comes from being prepared to keep your eyes open, and to learn, and to take yourself into new situations, outside of your comfort zone. I’m really proud of our three records because I can see a growth through them. I can see how we’ve pushed ourselves and how we’ve been stretched by things that are beyond our control, and also the choices that we have made. I suppose the obvious thing with this record is that it’s the first Invisible record that I’ve produced. We’ve always been involved in shaping our own music and, to some extent, the production, but this is the first time where we really went, “Ok, let’s do this ourselves.” But there are many, many ways in which I feel that I’ve been able to move into new waves of seeing and doing things. Another really big one was spending time in L.A., because that was the way I created the space to actually make the record and to do the writing. I had to get away from London, and from all the attendant pressures and expectations, just to create a space to get back in the playground and write music for myself and not for other people. But a big source of inspiration for me is the two musicians that I play with; they’re two of my favourite musicians on the planet. Getting in a room and exchanging ideas with them feeds into my process of creativity all the time. There are some big name collaborations on Patience, including long-time collaborators of yours like Jessie Ware and Anna Calvi. Was this your first time working with Connan Mockasin? (Laughs) Connan and I have got this running joke that he’s my son. (Laughs) I don’t know where this emerged from. I first met Connan years ago through Mica Levi, when Mica and I were on Accidental Records. We did a little tour together and Connan was meant to be on that tour and he sort-of showed up halfway through (Laughs) That’s when I met him and I just fell in love with his music. The first remix that I ever did was for his album Forever Dolphin Love, and we’ve remained in touch ever since. I don’t think we’ve ever shared a stage together but he is just part of my creative family. Like all the collaborations on the record, his involvement came about very organically. It wasn’t like, “Anna, come in and do this session for the Invisible record,” it was more like, “Let’s make some music and see what we feel about it and see where it goes.” I’d written this song when I was staying in Korea Town, and as I was writing it I was almost hearing Connan’s voice on it. I got back to London and I played it to Leo and Tom, and before I’d even said anything they were like, “Oh my god, you’ve got to ask Connan to do something on it.” So I wrote to him and he’s a notoriously mercurial character and it just so happened that he was in LA. I sent him the track and then a few days later he just sent me back what you hear on the record; I didn’t change anything, it was just perfect. I live for those moments, where there’s an organic serendipity. That brings me a lot of joy. Have you read your five-star Guardian album review yet? (Laughs) Yeah I have. What a special review! My goodness! Yeah, that was a lovely, lovely surprise. Discussing ‘Believe In Yourself’, the reviewer says, “These are tough topics to essay in pop, without slipping into motivational poster clichés.” Was that a consideration at the time of writing? (Laughs) I love that because it became this running joke when we were mixing the album with our friend Lex. We used to call it ‘Believe In Yourself (featuring Jess Glynne and the Dalai Lama)’. (Laughs) Like, it sounded like this awful mantra – this catch-all thing aimed at every single demographic. So we’re not without self-awareness. But I’m such a believer in sincerity in music and that [song] came from a really, really honest place, and it’s not a simplistic thing that I’m expressing, actually. When I wrote it, it was a time when what I was seeing was a lot of pain in people around me, who were really struggling with self-doubt, and an absence of faith. So we were trying to express that you can have the simplicity of an idea, but actually within that there can be a universe of complexity and ambiguity. So The Invisible have been together for a decade now, right? Woah! Yeah, that could well be right! It’s really hard to delineate because we have such a long history. I met Tom when I was at school and I’ve been making music with him since then, but, yeah, give or take it must be about 10 years. You’ve been through more than most bands. What has been your proudest achievement of your decade together? Oh my goodness... That’s really hard because there are so many highlights. I don’t know, maybe it’s yet to come on some level, and I love the fact that it’s not a static thing. But it’s amazing when people recognise your work. Getting the Mercury nomination was incredible. In my heart of hearts, to have made an album in honour of my mother, that I’m proud enough to put her name to, is a really big one for me just because of who she still is to me to this day. When I made that record it was one of the most painful processes, but it was so profound and so healing. I remember recording the vocals in our producer’s flat, which looks out onto the sea in Brighton, and I was singing out to the sea but I had a portrait of my mum in front of me because I had to know that I could sing those songs to her. I’m really proud to have done that and to have shared that with Tom and Leo. The fact that they were prepared to go on that journey with me, and that they gave me that space and supported me in that way, means more than I can really put into words. I’m also a big believer of being in the moment, and I’m just really happy to be alive and to be making music with people that I love. And hopefully putting stuff into the world that is testament to what I actually believe, as opposed to trying to be something else.